Soft, beautiful, supple skin is IN and wrinkles are OUT, but what do you do if you have wrinkles, fine lines, acne, sun spots, or freckles? The answer is simple. Microneedling in Brooklyn can help. You will be able to achieve that beautiful skin you have always dreamed about and seen on TV. And the best part? The process is non-invasive and truly works. If you would like to learn more about Microneedling or to schedule an appointment, call Kleydman Dermatology today. Microneedling is also referred to as Collagen Induction Therapy. This cosmetic procedure in Brooklyn will help to boost your skin’s production of elastin and collagen. These are two substances that are needed within the skin to keep it tight, supple, and glowing. At Kleydman Dermatology, we specialize in Microneedling near you in Brooklyn and would be happy to see you in our office for a consultation. Dr. Kleydman can show you the improvements you can expect from this procedure. The process is simple and makes use of an automated, non-surgical microneedling device. Single-use, sterile cartridges with tiny needles are used to make thousands of small needle punctures into the outer layers of your skin triggering your skin to produce more collagen. The procedure does not hurt, with the application of topical numbing agents, and the punctures are so tiny that you will not be able to see them. Dr. Kleydman is a board-certified dermatologist who specializes in the Microneedling procedure. 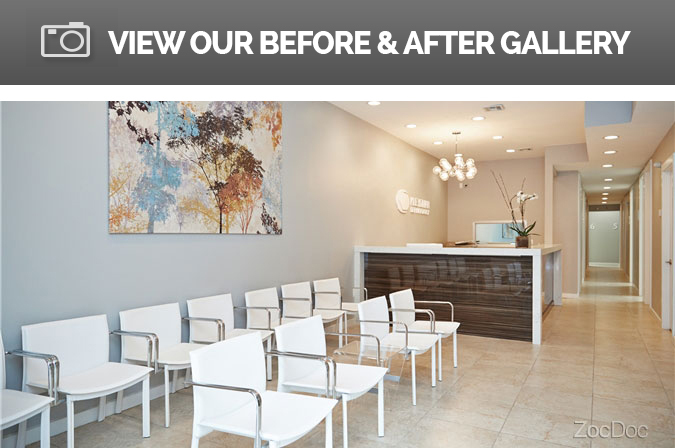 She has many years of experience and has been named the best doctor in Brooklyn and New York. It is important that you do not use at-home Microneedling products, as you may injure yourself and cause irreversible damage to your skin. You should ONLY trust a well-trained and qualified individual to perform Microneedling on your face or body. When you come into our Brooklyn office to have the procedure performed, you do not have to worry about it being panful. Dr. Kleydman has perfected the procedure and you will feel no pain. This procedure is often preferred over other similar ones because it is safe and can be used on any skin type and tone. In addition, the downtime for this procedure is minimal and the redness will usually be gone in just a day. If you are interested in Microneedling in Brooklyn, now is the time to contact Kleydman Dermatology to schedule a consultation. Dr. Kleydman will go over the procedure with you and show you what type of results you can expect. Don’t wait any longer and call our office now. Microneedling, also known as Epidermal Collagen Induction Therapy, is an innovation in aesthetic medicine for the treatment of the appearance of fine lines, acne scars, enlarged pores, stretch marks and the improvement of the skin's texture, tone and color. During this procedure, the device is used to create controlled micro-channels to the skin in order to aid in the production of collagen and elastin. The skin's repair process results in a thicker epidermis with a softer appearance of wrinkles. The micro-channels created allow for the most effective absorption of topical gels, creams and serums, enhancing the effects in deeper layers of the skin. Another incredible benefit of the microneedling procedure is that is can indeed improve blood supply, which helps to create that more vibrant, young and healthy glow that people love. Take note that even though the cartridge on the device uses several needles, it is not painful. The device has a unique vibrating function which dwindles any discomfort from the needling. This vibrating function of the needles is also beneficial because it significantly raises the absorption of products. Combining micro-needling with specific serums, a patient can get a much more enhanced result. The body’s ability to remodel and heal itself is at the heart of this amazing product and because the process never involves heat or thermal energy or other chemicals or unnecessary trauma, the skin can quickly heal with little to zero downtime. The day of the procedure, your face will be cleaned and prepped. A topical numbing cream will be applied for 30 minutes to eliminate discomfort for the procedure. Then we will begin with the procedure by applying desired serum of choice and using the device to go over the entire treatment site. WOULD YOU LIKE TO LEARN MORE ABOUT MICRONEEDLING? CALL 718-676-6900 TO SCHEDULE YOUR CONSULTATION AT KLEYDMAN DERMATOLOGY!